You may never use raw onions again after trying these Quick Pickled Onions, they are perfect on everything from salads to sandwiches. 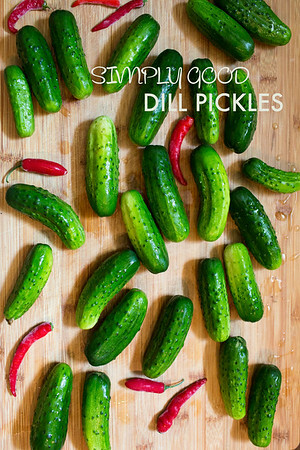 Quick Pickles are so easy and these onions will become your favorite! Don’t like raw onions? You’ll love these Quick Pickled Onions! When I was little I didn’t like onions at all. Not cooked and certainly not raw. I’ve come a long way since then. Love onions cooked, a fried onion rings are heaven, but raw, still not so good. I have been known to meticulously pick out every bit of onion from a salad or a sandwich. Click here to pin these Quick Pickled Onions now! Recently, however, I made a salad that had such few ingredients (and onions was one of them), that taking out the onions just didn’t make sense. Since I love all things pickled, I decided to look for a quick pickled onions recipe. I found it in The Sprouted Kitchen: A Tastier Take on Whole Foods – the full recipe is actually called Toasted Millet Salad with Arugula, Quick Pickled Onions and Goat Cheese, which sounds amazing itself, but all I needed was a quick pickle recipe. What is a Quick Pickle? A quick pickle is basically what it sounds like. 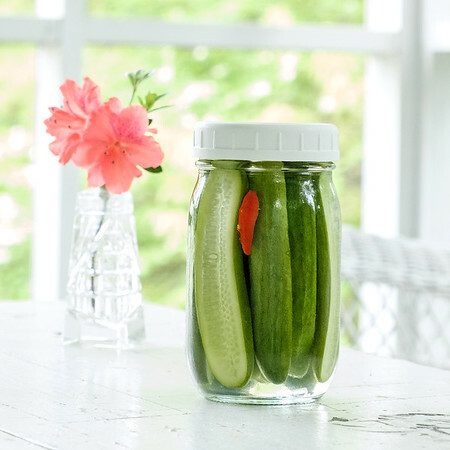 You mix up a brine, add your veggies or fruit, and store them in the refrigerator. Since they aren’t canned, they must keep refrigerated, but they last for weeks. These quick pickled onions were fantastic! So fantastic that I’ve made them again, and we vow to always have a jar in the fridge. 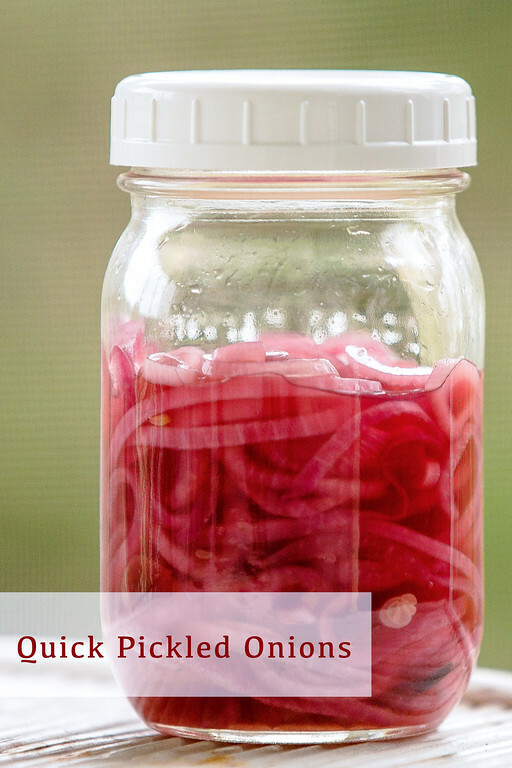 If you make them with red onions you get the lovely pink hue, however you can easily make quick pickled white onions. These were tart and sweet with the perfect amount of bite. We’ve added them to sandwiches and have eaten them almost like a side dish. And, I must confess, I have stood at the refrigerator just eating them out of the jar. They are that good! I have also made them without the bay leaf and cloves for a simpler pickle. These Quick Pickled Onions are easy and delicious and perfect on everything from salads to sandwiches! In a saucepan combine the vinegar, salt, sugar, bay leaf and cloves and bring to a gentle boil over medium high heat until the sugar is dissolved. Add the onion, stir, and remove the from the heat. 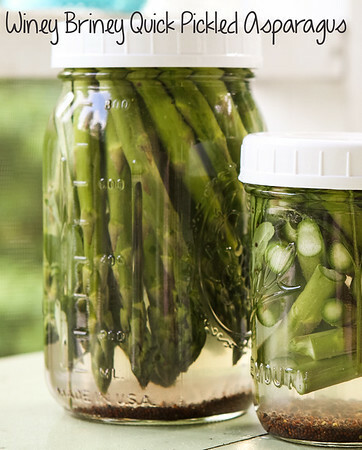 Let them cool to room temperature, spoon into a jar and store in the refrigerator. These are delicious! The perfect addition to any sandwich! I needed something a little extra for some brats we were having. I had everything to make these and they were perfect — even my 12 year old super picky little LOVED them!! I made them with white onions because thats what I had, but Im definitely going to be buying red onions because I love how pretty yours are! I’ve been thinking of making pickled onions since I tasted them in a salad I got at Panera Bread. Loved them. Thanks for the recipe. This is a such an informative post. I love pickling onions and now I have a quick way to do it. Don’t you just love pickled onions? They’re so good on so many things! I don’t remember having ever eaten pickled onions, but now I want to try them! I love pickles and I’m not a huge fan of raw onions, so this sounds like a great way to enjoy onions. Plus, it’s so easy, how can I not try it? We love pickled onions! So pretty and so delicious! I like adding pickled veggies to things (pickled turnips and amazing in a grilled cheese sandwich) and this recipe looks so easy. This is one of my favorite condiments! It’s great on toast with avocado and a perfectly cooked egg. Pretty too. I love pickled onions and have never made them before. Thank you for the recipe, I’ll certainly have to give it a try! Pam -I love pickled onions so much but I never thought about making them with red onions! And I don’t make them because they take a long time.. these look great! Thanks! I love pickled onions! Thanks for the recipe! I have made these several times. A few weeks ago I made a batch to go with some pernil sliders that I made from a pork picnic shoulder. They just didn’t taste right or have the usual texture. We blamed it on the onions perhaps being bad. Later I realized that while I was running around, I FORGOT TO HEAT THE LIQUID MIXTURE before pouring it over the onions!!!!! Face palm! there are just so many places to use pickled onions. i love them yet i’ve never made them–i appreciate this post! A great idea! Surely delicious. I love onions –anyway I can get them… Thanks! I seriously crave pickled onions. They look incredible. I love pickled onions!! They go so well on just about anything. This recipe is perfect! I have been wanting pickled onions for the fridge but did not want to make more than one onion at a time, thanks.